Hello Beauties! I am sure you guys are looking forward to April aka spring as much as I am. Last weekend, we went to a friend's place. Here, I am going to share my outfit of this get-together with all of you guys. 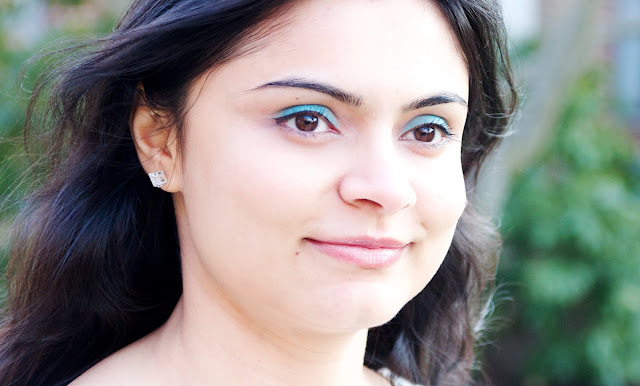 Of course, it was a very casual going out, so I kept everything very minimal except the colorful eyes. I incorporated 4 Spring/Summer 2013 fashion/makeup trends into this OOTD. Fashion trends I used here are: Black/White and Shine. Makeup trend I wore: popping eyes with soft teal eyeshadow, and pale nails for my makeup. 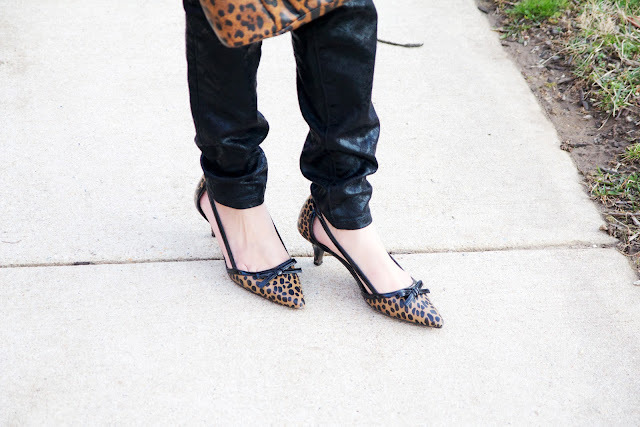 I brought the whole look together with natural peachy lip and leopard print pump and purse. I hope you will like it. Thanks for visiting! Happy Spring! 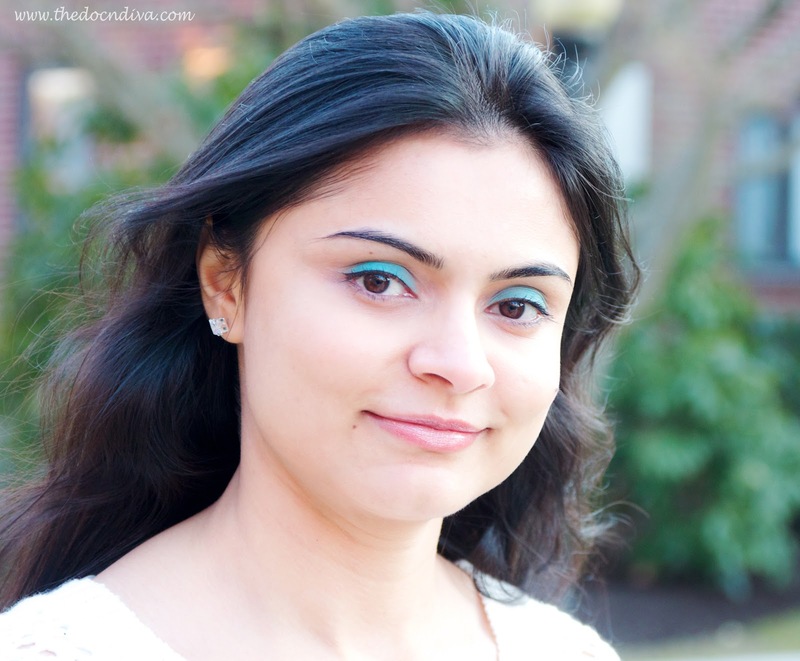 Love your the blue eyeshadow, so vibrant and fresh for spring! Oeendree...u look so pretty... . The eye shadow looks so fresh n I love ur pumps. you look lovely and fresh..your look is so elegant..
Would you like to follow each other via FC and Bloglovin? Love your make up! you look adorable!